Common Vauxhall Corsa problems | What Car? 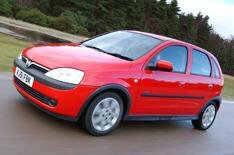 Were going to concentrate on the second and third generations of the Corsa, which were produced after 2000. The Mk2 was available until 2006, and came with 1.0-, 1.2-, 1.4- or 1.8-litre petrol engines, and 1.3- or 1.7-litre diesels. An automatic gearbox could be mated with the 1.0 and 1.2 petrol cars, and theres the choice of three- or five-door versions. The third generation of the Corsa, which appeared in 2006, sits on a new platform. At launch it was available in either three or five-door form as before, and had virtually the same engine line-up the 1.8 petrol was dropped and the diesels got more power. In 2007, Vauxhall added the 1.6 Turbo VXR version. Some owners have reported problems with front airbag control unit. The child seat safety cradle with transponder might not work correctly with the front passenger smart airbag deactivation function. Faulty software is the cause. There have been issues with second-generation Corsa seat adjusters, where the longitudinal adjuster latch spring can weaken and fail to lock the seat in place. This could affect the drivers control of the vehicle and passenger safety. Weve had lots of owners complaining about their cambelts in second-generation Corsas. Its extremely important that the cambelt is changed every 40,000 miles. Failing to do so could mean damaging the engine and an expensive bill. Some cars built in 2004 have revealed issues with their steering wheels. The wheels centre screw might not have been tightened correctly, resulting in wheel wobble and imprecise steering. Some cars built in 2006 have been known to have water ingress problems. Water has found its way into the ABS connector, via the ground wiring connection, which could result in the ABS not functioning properly, overheating and sometimes fire. A certain number of cars built in 2007 have had issues with their steering. The front lower suspension arms can fracture near the bushing due to a welding problem. The control arm might then lack rigidity, causing a lack of stability. In worst cases, control of the car could be lost. Owners of cars built in 2007 have reported issues with steering shafts. It has been found that the materials used arent of the required rigidity, and could therefore snap. In the worst cases, steering control could be lost. Some cars built after 2008 had problems with their brakes. Its possible that the ABS/ESP modulator might not be filled with the correct amount of hydraulic oil at the factory. In some cases, this could lead to a loss of braking. Other cars built between September 2009 and March 2011, had brake pedal bearings manufactured from insufficiently strong materials, which could cause the bearing to break under extreme pressure. Some cars built between September 2009 and May 2010 have had issues with their handbrakes. The mounting end of the handbrake cable can move in its support bracket, resulting in the loss handbrake application. The third generation of Vauxhalls Corsa has revealed a few electrical problems on some cars. The central locking and deadlocks have been known to go wrong, and the ignition sometimes fails to start the engine first time. Most of these issues should have been remedied by Vauxhall for free, so make sure the work has been carried out.